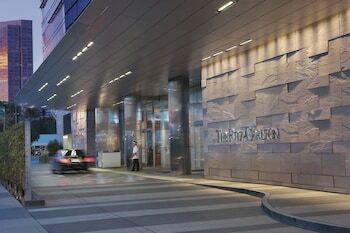 With a stay at The Ritz-Carlton, Los Angeles, you'll be centrally located in Los Angeles, steps from Grammy Museum and L.A. Live. 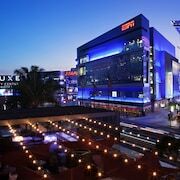 This 5-star hotel is within close proximity of Microsoft Theater and Staples Center. Make yourself at home in one of the 123 air-conditioned rooms featuring flat-screen televisions. Your pillowtop bed comes with down comforters. Premium TV channels provides entertainment, and wired and wireless Internet access is available for a surcharge. Bathrooms have designer toiletries and hair dryers. Pamper yourself with a visit to the spa, which offers massages, body treatments, and facials. 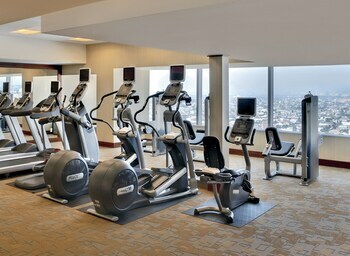 You can take advantage of recreational amenities such as an outdoor pool, a steam room, and a fitness center. Additional amenities at this hotel include complimentary wireless Internet access, gift shops/newsstands, and a hair salon.